Painting a line across canvas with a brush is similar to the motion of a wave breaking. Color sugar lift aquatint with spit bite aquatint on gampi paper chine collé. Color aquatint with spit bite and sugar lift aquatints. Image size: 30 x 22"; paper size: 40 x 30½". Edition 25. Color sugar lift and spit bite aquatints with drypoint on gampi paper chine collé. Image size: 30 x 22"; paper size: 40 x 30½". Edition 10. Color spit bite aquatint printed on gampi paper chine collé. Image size: 12 x 12"; paper size: 21½ x 17". Edition 20. Image size: 15 x 11"; paper size: 21½ x 17". Edition 15. Color spit bite aquatint with soft ground etching and aquatint. Image size: 29½ x 21½"; paper size: 41¼ x 30½". Edition 40. Soap ground aquatint with color spit bite aquatint. Image size: 29½ x 21½"; paper size: 41 x 30½". Edition 40. Soap ground aquatint with color aquatint and spit bite aquatint printed on gampi paper chine collé. Image size: 29¼ x 21¼"; paper size: 41¼ x 30¼". Edition 20. Color aquatint with soap ground and spit bite aquatints. Image size: 13¾ x 10¾"; paper size: 24 x 19". Edition 30. Image size: 13¾ x 10¾"; paper size: 21 x 17". Edition 15. Image size: 13¾ x 10¾"; paper size: 21 x 17". Edition 30. Mary Heilmann was born in San Francisco in 1940 and grew up in Southern California. She has a B.A. in Literature from the University of California, Santa Barbara and an M.A. in Ceramics and Sculpture from the University of California, Berkeley. She moved to New York in 1968 where she was friendly with Bruce Nauman and Richard Serra, both of whom she had known in San Francisco. She was included in the Whitney Museum of American Art Annual in 1972, and in 1975 she joined the Holly Solomon Gallery, where she showed regularly through 1981. Heilmann joined the Pat Hearn Gallery in New York in 1986, and until Hearn died in 2000, she was part of an unusually close group of artists and friends associated with the gallery. In 1990 the Institute of Contemporary Art, Boston, exhibited a survey of Heilmann’s painting, and in 2016 the Whitechapel Gallery, London, presented a solo exhibition of her work. In 2017 the Dia: Dan Flavin Art Institute exhibited a survey of her work made since the 1970s in Bridgehampton, New York. She produced print projects at Crown Point Press in 1998, 2006, and 2017 and has also worked in printmaking with Pace Editions in New York. In 1997 she had her first show at Hauser & Wirth Gallery, Zurich and London, where she continues to exhibit regularly. Heilmann’s paintings are in the collections of the Whitney Museum of American Art, New York; the Moderna Museet, Stockholm; and many other museums worldwide. She is represented by 303 Gallery, New York, and Hauser & Wirth Gallery. 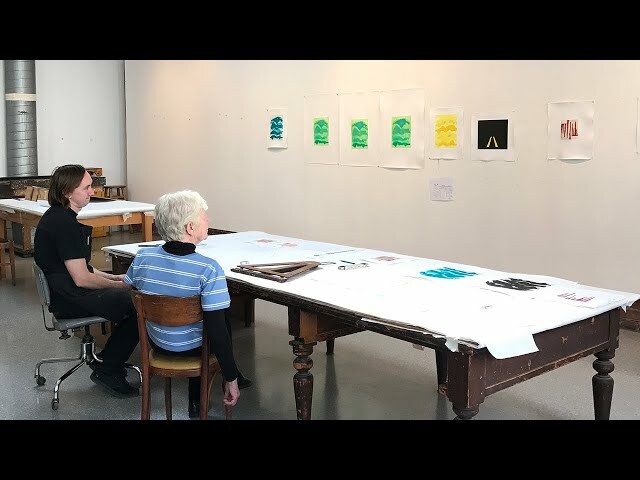 Watch Mary Heilmann working on her recent etchings in the Crown Point studio. 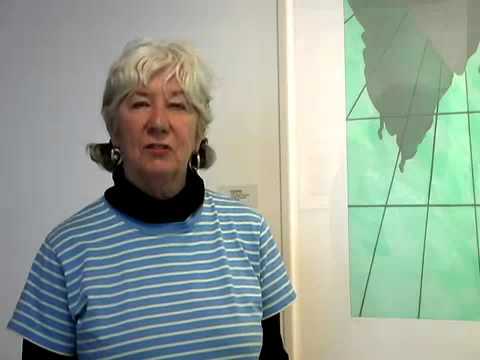 Artist Mary Heilmann discusses printmaking at Crown Point Press in San Francisco.